A woman in her 50s has been hospitalised after an incident in Cathedral Square in Peterborough this morning. 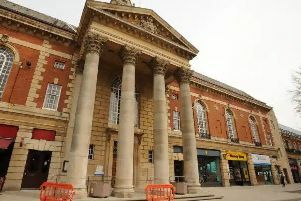 Police were called at 2am this morning, Thursday June 1, by the East of England Ambulance Service to reports of concern for a woman’s safety in Cathedral Square. Officers attended the scene and the woman, who is believed to be in her 50s and was sitting in Cathedral Square, was taken to hospital as a precaution at around 8am this morning. Police confirmed that officers and ambulance crews were concerned for the woman’s mental health and spent a prolonged period talking to her and ascertaining details as to her health.